The Alpha Kappa Psi Scholarship Fund has moved to AKPsiScholarships.org to better reflect the non-profit purpose of the organization. The Alpha Kappa Psi Scholarship Fund awards scholarships to students who attend the Carlson School of Management who have strong academic records and leadership experience. The Scholarship Fund was founded by several alumni of the Alpha Eta chapter of Alpha Kappa Psi. Learn more about the Alpha Kappa Psi Scholarship Fund and apply for scholarships at akpsischolarships.org. 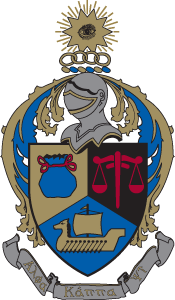 The Alpha Eta chapter of Alpha Kappa Psi was founded at the University of Minnesota in 1922. The co-educational professional business fraternity helps its members find balance in college through community service, professional activities, social events, and an extensive network of current and past members. Many of the Carlson School’s most successful alumni have been affiliated with Alpha Kappa Psi. One of the many things that set Alpha Kappa Psi apart from the rest of the business organizations on campus is its co-educational residential facility, which is conveniently located adjacent to campus at 1116 5th Street SE. The Alpha Kappa Psi house provides a place for members and residents to meet, hold events, hangout, study, and live. Learn more about the Alpha Eta chapter of Alpha Kappa Psi at akpsiah.com. Learn more about Alpha Kappa Psi at akpsi.com.